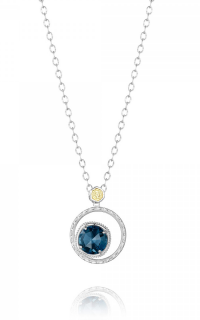 The Wedding Ring shop is excited to offer our customers spectacular necklace and pendant collections from Tacori. Tacori features extraordinary jewelry that make a statement and will last a lifetime. 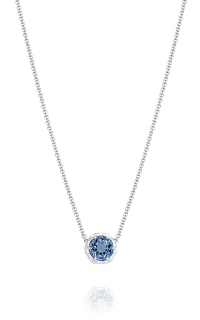 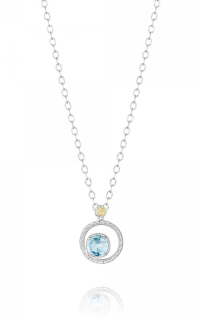 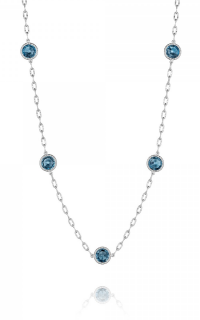 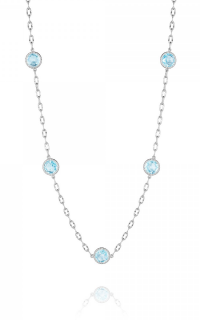 This shimmering SN14605 Ladies Necklace from the Island Rains collection shines from every angle. 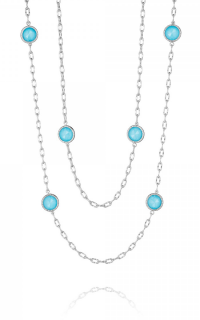 This piece is fashioned out of Sterling silver (925). 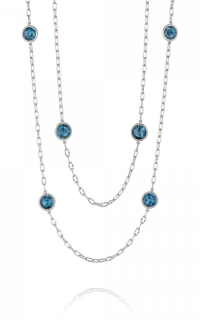 This piece features a secure Cable (standard) chain, which showcases the piece perfectly. 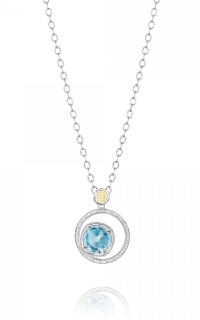 At the forefront is a memorable Round stone, held in a Bezel setting. 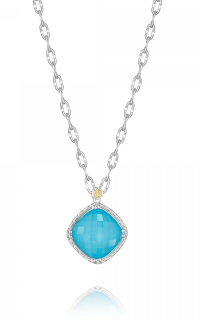 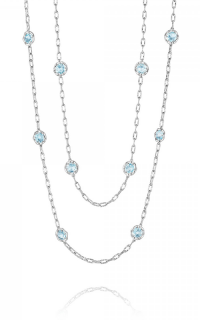 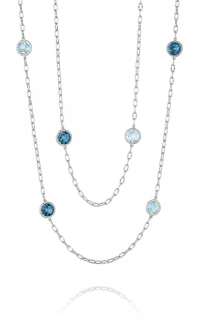 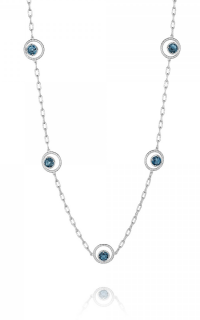 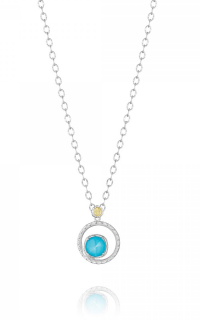 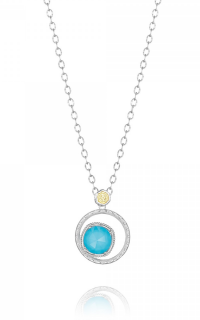 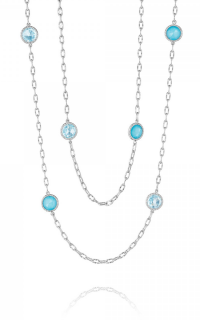 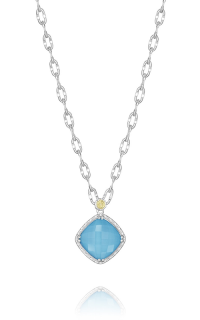 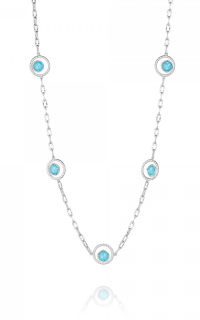 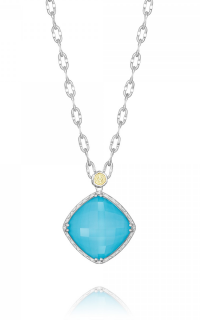 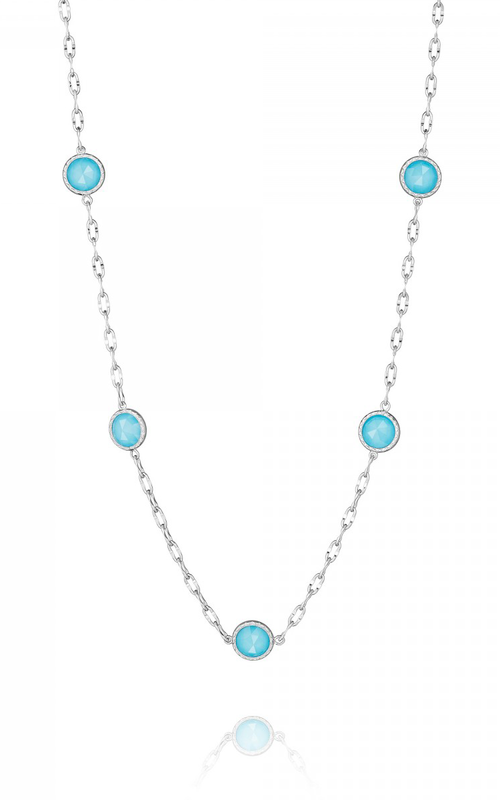 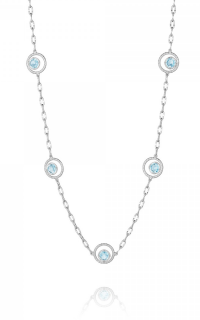 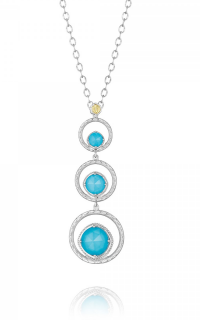 The splendid Quartz, Turquoise at the heart of the necklace will undoubtedly complement your style. 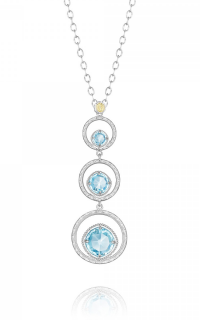 The Wedding Ring Shop in Honolulu, Hawaii was established by a 3rd generation Kamaaina Family and has been in business since 1987. The mission of The Wedding Ring Shop is to help people honor life's special moments by providing legendary services and fine jewelry of the highest standards. 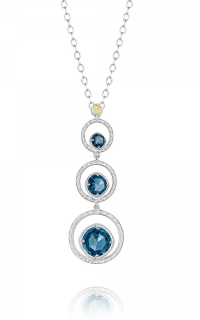 The Wedding Ring Shop is happy to offer a selection of the fine jewelry you love.